Model number: ST3400632A. Site Code: WU. When will I get my product, I'm outside of US?. I need hard drive in the picture, will I get it?. Seagate ST3400820AS P/N: 9BJ134-621 F/W: 3. AHG TK 400GB. Model number: ST3400820AS. Site Code: TK. When will I get my product, I'm outside of US?. I need hard drive in the picture, will I get it?. Model number: ST3400832AS. Site Code: AMK. When will I get my product, I'm outside of US?. I need hard drive in the picture, will I get it?. 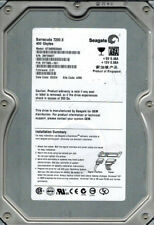 SEAGATE ST3400833AS 400GB P/N: 9BD135-620 F/W: 3. Model number: ST3400833AS. Site Code: TK. When will I get my product, I'm outside of US?. I need hard drive in the picture, will I get it?. Model number: ST3400320AS. Site Code: TK. When will I get my product, I'm outside of US?. I need hard drive in the picture, will I get it?. 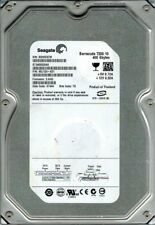 SEAGATE ST3400620NS 400GB P/N: 9BL144-302 F/W: 3. Model number: ST3400620NS. Site Code: TK. When will I get my product, I'm outside of US?. I need hard drive in the picture, will I get it?. 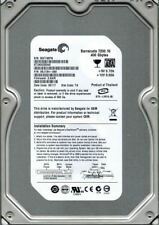 Seagate ST3400633NS P/N: 9BF145-501 F/W: 3. AEH 400GB WU. Model number: ST3400633NS. Site Code: WU. When will I get my product, I'm outside of US?. I need hard drive in the picture, will I get it?. 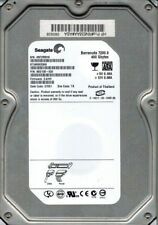 Seagate ST3400620NS P/N: 9BL144-503 F/W: 3. AEK 400GB TK. Model number: ST3400620NS. Site Code: TK. When will I get my product, I'm outside of US?. I need hard drive in the picture, will I get it?. Part number: 0A31100. MLC: BA1379. Model number: HDS724040KLSA80. When will I get my product, I'm outside of US?. I need hard drive in the picture, will I get it?. Part number: 0A31748. MLC: BA1418. Model number: HDS724040KLSA80. When will I get my product, I'm outside of US?. I need hard drive in the picture, will I get it?. Part number: 0A31600. MLC: BA1041. Model number: HDS724040KLSA80. When will I get my product, I'm outside of US?. I need hard drive in the picture, will I get it?. Part number: 0A30984. MLC: BA1246. Model number: HDS724040KLSA80. When will I get my product, I'm outside of US?. I need hard drive in the picture, will I get it?. Seagate ST3400633AS P/N: 9BD145-303 F/W: 3. AAE 400GB TK 4NF. Model number: ST3400633AS. Site Code: TK. When will I get my product, I'm outside of US?. I need hard drive in the picture, will I get it?. Part number: 0A30280. MLC: BA1261. Model number: HDS724040KLSA80. When will I get my product, I'm outside of US?. I need hard drive in the picture, will I get it?. Model number: HDT725040VLA360. Part number: 0A33272. MLC: BA2367. When will I get my product, I'm outside of US?. I need hard drive in the picture, will I get it?. Part number: 0A31463. MLC: BA1450. Model number: HDS724040KLSA80. When will I get my product, I'm outside of US?. I need hard drive in the picture, will I get it?. Model number: HD403LJ. Part number: 400611FP131730. When will I get my product, I'm outside of US?. I need hard drive in the picture, will I get it?. Hard Drive Size: 400GB. Interface: IDE / PATA. This sale is just for the hard drive - no software or auxiliaries are supplied. For larger hard drive upgrades - you may have to install the latest BIOS updates (From Dells' Website). Seagate ST3400633AS P/N: 9BD145-303 F/W: 3. AAH 400GB AMK. Model number: ST3400633AS. Site Code: AMK. When will I get my product, I'm outside of US?. I need hard drive in the picture, will I get it?. MLC: BA1446. Part number: 0A30229. Model number: HDS724040KLSA80. When will I get my product, I'm outside of US?. I need hard drive in the picture, will I get it?. Part number: 0A30603. MLC: BA1247. Model number: HDS724040KLSA80. When will I get my product, I'm outside of US?. I need hard drive in the picture, will I get it?. Part number: 13G0521. MLC: BA1446. Model number: HDS724040KLAT80. When will I get my product, I'm outside of US?. I need hard drive in the picture, will I get it?. DCM: HBCVJHBB. When will I get my product, I'm outside of US?. I need hard drive in the picture, will I get it?. This item is for one Seagate ST3400832AS 9Y7385-510 FW:3.03 Site:TK 3.5" 400gb Sata Hard Drive. This drive and all of our drives are professionally tested and cleaned on a DOD certified machine at Oem level. This item is for one Seagate ST3400832AS 9Y7385-510 FW:3.03 Site:AMK 3.5" 400gb Sata Hard Drive. This drive and all of our drives are professionally tested and cleaned on a DOD certified machine at Oem level. DCM: HBCVJBB. When will I get my product, I'm outside of US?. I need hard drive in the picture, will I get it?. DCM: HBCVJBNB. When will I get my product, I'm outside of US?. I need hard drive in the picture, will I get it?. DCM: DBRNHT2MAB. When will I get my product, I'm outside of US?. I need hard drive in the picture, will I get it?. DCM: HHCVJBBB. When will I get my product, I'm outside of US?. I need hard drive in the picture, will I get it?. Model number: HD401LJ. Part number: 400511FP120052. When will I get my product, I'm outside of US?. I need hard drive in the picture, will I get it?. DCM: HHNCNV2CHN. When will I get my product, I'm outside of US?. I need hard drive in the picture, will I get it?. DCM: HBNNNV2CB. When will I get my product, I'm outside of US?. I need hard drive in the picture, will I get it?. DCM: HCHCAJAA. When will I get my product, I'm outside of US?. I need hard drive in the picture, will I get it?. DCM: HHRCNT2AHB. When will I get my product, I'm outside of US?. I need hard drive in the picture, will I get it?. Sun 146 GB 10 K 2.5 "SAS hot swap hard drive 540-7151". Dell 146 GB 10 K SAS 3.5 "hot swap hard drive - 0GP879 / GP879". HP 146 GB 10 K SAS dual port 3 G 2.5 "hot swap hard drive 418399-001". Sun 146 GB 10 K 2.5 "SAS hot swap hard drive 540-7407". DCM: HARNHT2CB. When will I get my product, I'm outside of US?. I need hard drive in the picture, will I get it?. IBM FC hot swap hard drive 300 GB 3.5 "10 K for storage systems 22R5501". Engenio 17932-01 Hitachi HUS103030FLF210 300 GB 3.5 "10 K FC hot swap hard drive". NetApp-X276A-R5 108-00083 A2 300 GB 10 K FC hot swap hard drive.